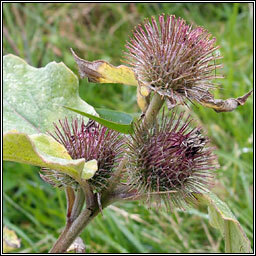 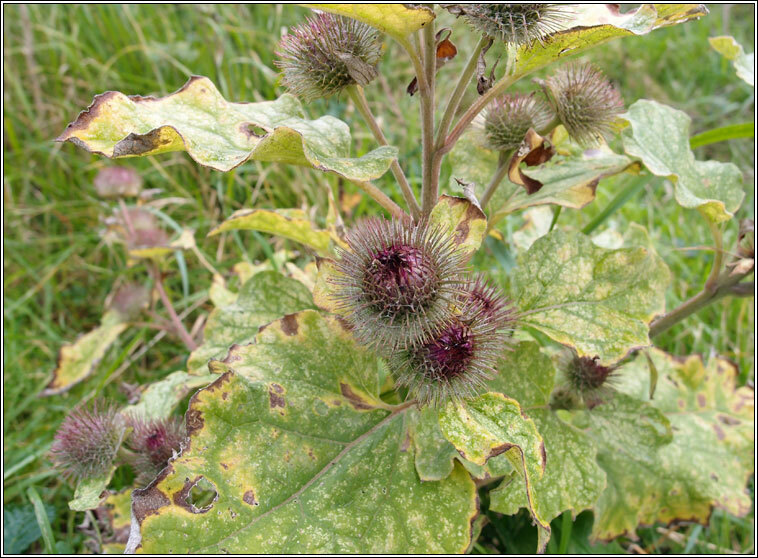 Branched stems bearing stalked, greenish purple-pink flowers followed by very sticky burs. 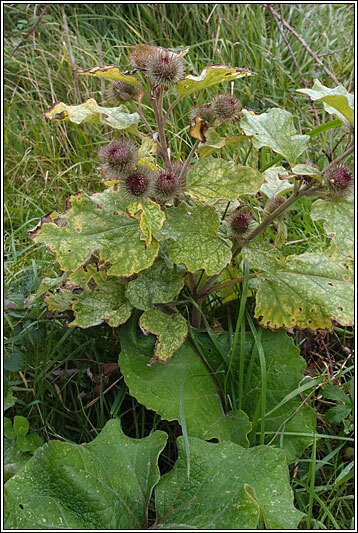 The florets are longer than the hooked sepal-like bracts. 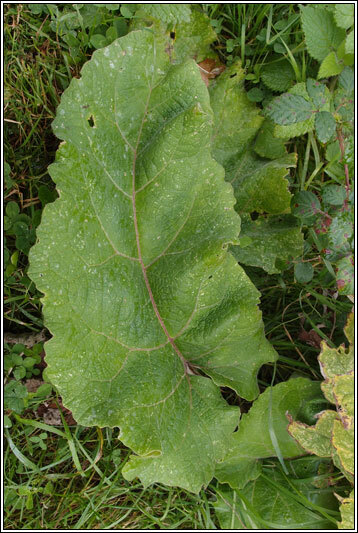 The large wavy-edged leaves are longer than wide with hollow basal stalks.